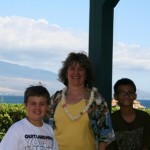 The following is a guest post by Liza of A Maui Blog. 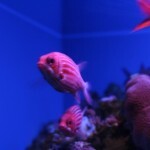 the original post can be found here and information on Maui Ocean Center can be found here via Maui Information Guide. Visiting the Maui Ocean Center makes me wanna sing “Under The Sea” with Sebastian from Little Mermaid. 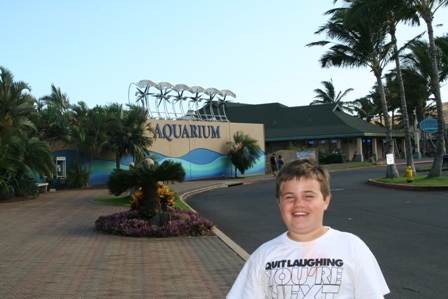 My kids and I have been at the Maui Ocean Center many times, and yet whenever we have guests from the mainland we always make it a point to take them there. We never get tired of visiting it. It’s one of our favorite place to show in Maui. It’s truly an awesome place. And so when I was initially paired up with blogger @SheilaS on this So Much More Hawaii Tour, I thought that would be one of the place I’d show her. Lo and behold, we are thinking of the same thing! She said that she and her son would like to see that place too. So last Friday, we all went together (@SheilaS and her son together with my son and I). 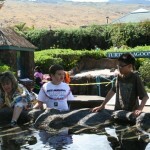 Located at 192 Maalaea Road, The Maui Ocean Center has something for everyone. Put aside the fact that they have a 750,000 gallon shark tank with over 20 lively sharks, and you still have one of the best aquarium experiences on the globe. One of the many exhibits they have here is a 360 degree tank with glowing jellyfish. 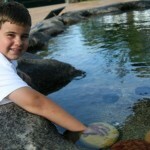 Outside you’ll find multiple pools for touching and interacting with the sea life. During season, you can be touching a starfish and watching a humpback whale in the near distance outside of the harbor. Everything swimming around and in the Maui Ocean Center is from Hawaiian waters. Children get as much of a kick out of going here as do adults. They even offer overnight sleep overs for groups interested in watching the nocturnal behavior of the sharks and other ocean life. The shark tank holds over 20 sharks including Tigers. The tank also has a long glass tunnel which you can walk through and watch the enormous sting rays, huge tropical fish, and graceful sharks swim over head. For the adventurous, you can even dive in the tank for a price. Tiger Sharks are common in Hawaiian waters but are rarely seen and seldom attack humans. Seeing them among other sea life is really exhilarating. 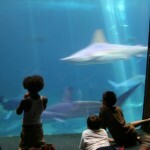 The tank also holds many other sharks like reef sharks. These Maui sharks are smaller than the tigers. All of these sharks are nocturnal, so if you get a chance to see them at night, you’re in for a treat. 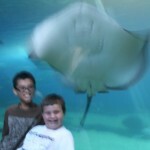 The giant sting rays are also nocturnal and usually only feed at night. These graceful giants are a wonderful addition to the tank and great to watch glide over you from inside the water tunnel.